Lean Six Sigma is a combination of two proven continuous improvement methods: Lean and Six Sigma. Lean Six Sigma is focused on creating value for customers by improving efficiency, safety and quality, while reducing waste and variation. Build on the tools learned in the White Belt class to understand how to lead process improvement projects. Participants learn how to use a proven five-step methodology called, DMAIC, to drive change in their organization. Specific tools and topics are covered for each of the five steps and participants are given the opportunity to practice in small groups. Yellow Belt is led by real world practitioners, giving participants insight on how to apply these tools in their own job. Included in the course: Team Charter, Value Analysis, Flow, Operational Definitions, 5 Why’s, Understanding Variation, Pareto Chart, Creative Thinking, Kanban, Visual Management, and Run Charts. Class begins at 8:00am and concludes by 5:00pm. There will be an hour for lunch around 12:00pm and several breaks throughout the day. 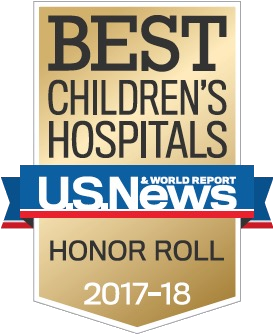 In support of improving patient care, Boston Children's Hospital is jointly accredited by the Accreditation Council for Continuing Medical Education (ACCME), the Accreditation Council for Pharmacy Education (ACPE), and the American Nurses Credentialing Center (ANCC), to provide continuing education for the healthcare team. Boston Children’s Hospital designates this live activity for a maximum of 7.00 AMA PRA Category 1 Credits ™. Physicians should claim only the credit commensurate with the extent of their participation in this activity. Boston Children’s Hospital designates this activity for 7 contact hours for nurses. Nurses should only claim credit commensurate with the extent of their participation in the activity. Boston Children’s Hospital designates this activity for 7 contact hours for pharmacists. Pharmacists should only claim credit commensurate with the extent of their participation in the activity. Boston Children's Hospital adheres to all ACCME Essential Areas, Standards, and Policies. It is Boston Children’s policy that those who have influenced the content of a CME activity (e.g. planners, faculty, authors, reviewers and others) disclose all relevant financial relationships with commercial entities so that Boston Children's may identify and resolve any conflicts of interest prior to the activity. These disclosures will be provided in the activity materials along with disclosure of any commercial support received for the activity. Additionally, faculty members have been instructed to disclose any limitations of data and unlabeled or investigational uses of products during their presentations.